With the recent popularity of wearable technology and smaller form factors, it was only a matter of time until the chip giant Intel revealed its efforts in the area. The Quark SoC series was the first such step, announced in September. Bearing the name X1000, the first product in this line was a Pentium architecture based single core 400 MHz processor with an embedded DDR3 memory controller and interface support for standards like PCI and USB 2.0. Building upon the previously introduced SoC, Intel has revealed the Edison, a brand new mini computer akin to the Raspberry Pi. Here’s details of the small wonder! 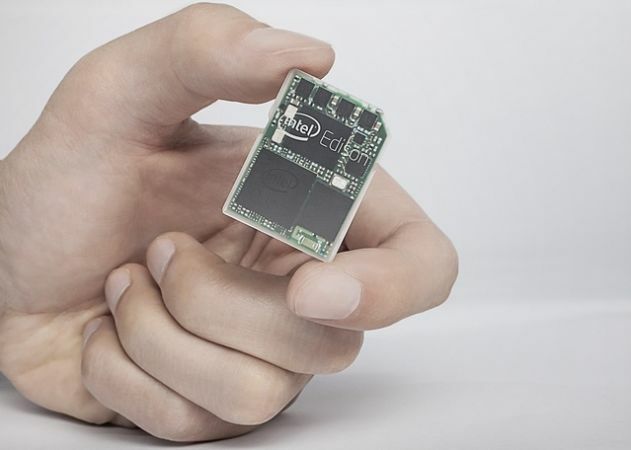 Described by the Brian Krzanich, the CEO of Intel as “…a full Pentium-class PC in the form factor of an SD card,” the Intel Edison opens up new possibilities for functional everyday technology using a familiar base. Using a dual core Quark SoC with built in WiFi and Bluetooth, the Intel Edison is supports Linux and a special version of Wolfram Mathematica with “other operating systems” being supported in the near future. 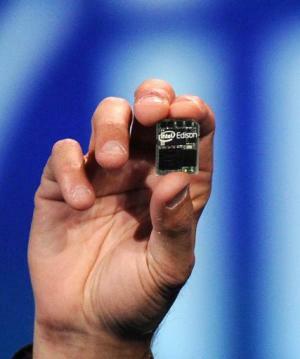 Of course aimed squarely at developers, the Intel Edison also has its very own app store and encourages developers to come up with innovative technology using the Edison to solve everyday problems. The top prize is a cool $500,000, so if you have something in mind, get cracking! While the Intel Edison is aimed mostly at wearable technology, the displayed examples from Rest Devices mostly involved everyday tasks like monitoring a baby using feedback using sensors and calculated by the Edison, a bottle warmer activated by certain stimuli and more. Its counterpart is the earlier revealed Intel Galileo, which is more of a traditional developer board like the Raspberry Pi. This microcomputer will support low power DDR2 memory, will come with a certain amount of flash storage, and will have expansion capabilities in the future, in addition to the already onboard Bluetooth LE and WiFi support. It should be available in Summer 2014 for developers to try their hands at developing new, more usable technology.